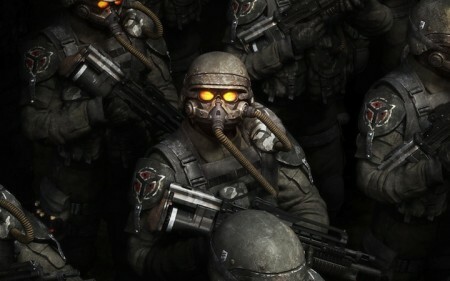 Taking in all of Guerrilla’s now six-game PlayStation-exclusive sci-fi FPS series but focusing on Killzone 2 and Killzone 3. The subject matter may be grittier and weightier but the podcast isn’t, as Leon, Jay, Josh, Sean and members of the Cane and Rinse discuss their quibbles with the single-player campaigns before settling back to fondly remember countless hours in the multiplayer Warzone. Cane and Rinse 106 was edited by Jay Taylor. Thanks for the discussion. This is a series that I have very little experience with. My only real experience is with the Killzone 2 demo. It was one of the first downloads I made when I first got my PS3 (the only full game I bought along with it was Katamari Forever, so I was looking for something that could show off the PS3's graphical capabilities). I thought the game looked very pretty (even if the art direction didn't stand out all that much compared to its contemporaries), and the sound was excellent, but I didn't have a great time with it for two reasons: 1. PS3 controller is not the proper device to play shooters with, and 2. I hadn't changed the controls from their default R2-to-fire binding (as an Xbox 360 gamer for many years at the time, I hadn't even considered the L1+R1 shooting configuration as an option). Ended up deleting the demo. Didn't keep my attention. Really, a space marine first person shooter has to do something out of the ordinary to impress me (like Vanquish did) due to oversaturation. Just listened to this as I’ve being messing around with guerrilla’s back catalogue including shellshock alongside playing horizon. Sounds like guerrilla/Sony listened to Jay’s advice to let them work on an original property. Apologies for taking so long to spot this reply too!